With over 10,000 apps, games, and Alexa skills, Amazon Fire TV offers all your favorite subscriptions and streaming services. Fire TV delivers the content you love in up to 4K Ultra HD resolution for true-to-life picture quality. Plus, get universal search results across top apps, enjoy live sports, music, games, and more. 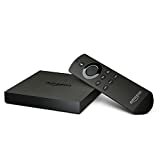 Amazon Fire TV connects your HDTV to a world of online entertainment, letting you stream over 300,000 movies and TV shows in 4K Ultra HD, 1080p, or 720p. Use the included Alexa Voice Remote to easily find the content you love with universal search across more than 140 channels and apps, or discover something new with personal recommendations right on the home screen. With access to Netflix, Hulu, HBO NOW, YouTube, Amazon Video, and more-there are over 300,000 TV episodes and movies ready to stream. Watch live TV (including sports and news) as it happens. Subscription fees may apply. Use the Alexa Voice Remote to quickly find what you want to watch. Just say, "Find romantic comedies," and Alexa will show you results from apps like Netflix, Hulu, HBO NOW, and Amazon Video. Want to skip the opening credits? Say, "Fast forward a minute." No cable? No problem. Watch TV live without a cable subscription using free apps like NBC News and only pay for the channels you want with subscriptions to Sling TV, CBS All Access, and others (internet service required). Even better with Prime Being a Prime Member unlocks thousands of movies and TV episodes, including Amazon Original Series, plus ad-free listening to over two million songs. From award-winning series Transparent and Mozart in the Jungle to great shows for kids like Tumble Leaf and Creative Galaxy something is always on. With Amazon Channels, Prime members can also choose from over 100 premium and specialty channels like STARZ and SHOWTIME to add and stream-no cable or satellite subscription necessary. Only pay for the channels you want to watch, and prices start as low as $2.99 a month - and you can cancel anytime. Even better, each channel starts with a free trial, so it's easy to discover new favorites. Tiny Box. Huge Specs. Experience true-to-life picture quality when used with compatible 4K Ultra HD TVs. Enjoy rich cinematic surround sound via HDMI with Dolby Audio in supported apps including Amazon Video, HBO GO, Starz, Netflix, and Plex. From universal search to ultra-smooth streaming, everything about Fire TV is fast and fluid thanks to a quad-core processor with 75% more processing power than the previous generation Fire TV, better Wi-Fi support with dual-band 802.11ac, a dedicated graphics engine, 2 GB of memory, and expandable storage of up to 200 GB (microSD card sold separately). Entertain your way Millions of songs are available to stream on Fire TV Stick through Pandora, Amazon Music, and iHeartRadio. Just press the microphone button on the Alexa Voice Remote and say what you'd like to hear next. Plus, watch videos from YouTube, Vevo, and Vimeo. 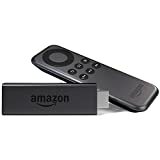 Fire TV Stick with Voice Remote is a powerful streaming media stick, connecting your HDTV to a world of online entertainment. Fire TV Stick with Voice Remote now lets you find all your favorites by just speaking into the remote. 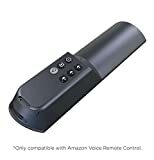 The voice remote has a built-in mic so you can instantly search TV shows, movies, actors, and genres using just your voice?no more typing with your remote to find what you want. And you can now use Alexa, the brain behind Echo, with your Fire TV Stick. Alexa, a cloud-based voice service, answers questions, plays music, checks local theater times, sports scores, the weather, and more. What's on Fire TV Stick with Voice Remote? With over 4,000 channels, apps, and games, Fire TV Stick with Voice Remote offers all your favorite subscriptions and streaming services. Watch over 250,000 TV episodes, movies, including live TV. Kick back with sports, news, music, and games. With instant access to Netflix, Amazon Video, HBO NOW, Hulu, and more, you're sure to find something you love. Rent movies from just 99 cents. Watch live TV with Sling TV, which includes ESPN, AMC, HGTV, TNT, Food Network, ABC Family, and more. Enjoy access to Prime Video with a monthly exclusive Prime Video subscription or at no additional cost through your Amazon Prime membership. Millions of songs are available to stream on Fire TV Stick through Prime Music, Pandora, Spotify and iHeartRadio. Access your entire Amazon Music Library. Fire TV Stick is also great for gaming on your HDTV?many games are free, and paid games start from just 99 cents. Say it. Watch it. Less searching, more watching. Speak into your remote to instantly find TV shows, movies, games, and more. The Fire TV Stick with Voice Remote has a built-in mic so you can instantly search TV shows, movies, actors, and genres using just your voice?no more typing with your remote to find what you want. Plus, launch apps by saying "open Netflix," and play Amazon Video and Add-On Subscription content from Starz, Showtime, and more?just say ?Play the movie Ex Machina,? or ?Watch Catastrophe,? to get even easier access to your favorite TV shows and movies. 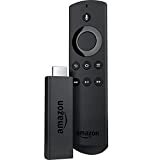 A powerful streaming media stick From the responsive interface to instant search results, everything about Fire TV Stick with Voice Remote is fast and fluid. It's all thanks to a dual-core processor, a dedicated VideoCore4 GPU, and 8 GB of storage?4x that of Chromecast. With Fire TV Stick, you can stream movies and TV shows in 1080p or 720p. With Dolby Audio, enjoy rich cinematic surround sound, consistent quality and enhanced volume level via HDMI (up to 7.1). Say goodbye to buffering: you shouldn't have to wait 10 seconds for a video to buffer every time you press "Play". ASAP (Advanced Streaming and Prediction) learns what Amazon movies and shows you like and gets them ready for you to watch. Perfectly portable Never miss an episode while you're away from home. Fire TV Stick works with any HDTV, including those in hotels and college dorm rooms. Just plug and play anywhere?even with Wi-Fi that requires web authentication. Bring the world of online entertainment to any HDTV in your home. Fire TV Stick is so easy to connect to any HDTV, you can watch while cooking in the kitchen or relaxing in bed. TV the way you want it Use your cable subscription to stream what you love on-demand through apps like HBO GO, Showtime Anytime, A&E, WatchESPN, and more. Get access to all your favorites with Fire TV Stick - download the apps and enter your cable account information to start watching. Stream your favorite shows at the same time they're broadcast with CBS All Access, the NBA app, MLB.tv, and more. Plus watch live TV with Sling TV?which includes ESPN, AMC, ABC Family, TNT, Food Network, Cartoon Network, Disney Channel, CNN, HGTV, A&E, and more. Subscription fees may apply. Even better with Prime Thousands of movies and TV episodes, including The Americans, Justified, and Downton Abbey, are available for Prime members or Prime Video subscribers to stream instantly, at no additional cost. Access your favorite HBO shows like The Sopranos in the HBO Collection. Unlock hours of new shows created by Amazon Studios. From Bosch to the award-winning series Transparent, plus great shows for kids like Creative Galaxy, Amazon Originals showcase comedy, drama, and children's programming you can only see on Amazon. With Prime Music, you can listen ad-free to over a million songs. And there are more than one thousand Prime Music Playlists to choose from based on your mood, activity, artist or decade of choice. Fire TV Stick connects your HDTV to a world of online entertainment. 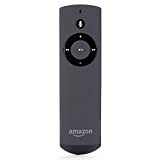 With a huge selection of movies and TV episodes, voice search that actually works, and exclusive features like Alexa and ASAP, Fire TV Stick is an easy way to enjoy Netflix, Amazon Video, Hulu, HBO NOW, live sports, music, photos, games, and more. What's on Fire TV Stick? With over 4,000 channels, apps, and games, Fire TV Stick offers all your favorite subscriptions and streaming services. Watch over 250,000 TV episodes, movies, including live TV. Kick back with sports, news, music, and games. With instant access to Netflix, Amazon Video, HBO NOW, Hulu, and more, you're sure to find something you love. Rent movies from just 99 cents. Watch live TV with Sling TV, which includes ESPN, AMC, HGTV, TNT, Food Network, ABC Family, and more. Enjoy access to Prime Video with a monthly exclusive Prime Video subscription or at no additional cost through your Amazon Prime membership. A powerful streaming media stick From the responsive interface to instant search results, everything about Fire TV Stick is fast and fluid. It's all thanks to a dual-core processor, a dedicated VideoCore4 GPU, and 8 GB of storage?4x that of Chromecast. With Fire TV Stick, you can stream movies and TV shows in 1080p or 720p. With Dolby Audio, enjoy rich cinematic surround sound, consistent quality and enhanced volume level via HDMI (up to 7.1). Say goodbye to buffering: you shouldn't have to wait 10 seconds for a video to buffer every time you press "Play". ASAP (Advanced Streaming and Prediction) learns what Amazon movies and shows you like and gets them ready for you to watch. Perfectly portable Never miss an episode while you're away from home. Fire TV Stick works with any HDTV, including those in hotels and college dorm rooms. Just plug and play anywhere?even with Wi-Fi that requires web authentication. Bring the world of online entertainment to any HDTV in your home. Fire TV Stick is so easy to connect to any HDTV, you can watch while cooking in the kitchen or relaxing in bed. TV the way you want it Use your cable subscription to stream what you love on-demand through apps like HBO GO, Showtime Anytime, A&E, WatchESPN, and more. Get access to all your favorites with Fire TV Stick?download the apps and enter your cable account information to start watching. Stream your favorite shows at the same time they're broadcast with CBS All Access, the NBA app, MLB.tv, and more. Plus watch live TV with Sling TV?which includes ESPN, AMC, ABC Family, TNT, Food Network, Cartoon Network, Disney Channel, CNN, HGTV, A&E, and more. Subscription fees may apply. Say it. Watch it. Less searching, more watching. 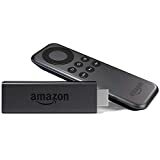 Fire TV Stick uses the same voice search engine as Amazon Fire TV, enabling you to simply speak the name of a movie, TV show, actor, director, or genre into your phone using the free Fire TV Remote App. Even better with Prime With Prime Video, thousands of movies and TV shows including The Americans, Justified, and Downton Abbey, are available to stream instantly, at no additional cost. Access your favorite HBO shows like The Sopranos in the HBO Collection. As a Prime member, unlock hours of new shows created by Amazon Studios. From Bosch to the award-winning series Transparent, plus great shows for kids like Creative Galaxy, Amazon Originals showcase comedy, drama, and children's programming you can only see on Amazon. With Prime Music, you can listen ad-free to over a million songs. And there are more than one thousand Prime Music Playlists to choose from based on your mood, activity, artist or decade of choice. Fire TV Stick connects your HDTV to a world of online entertainment. Stream a massive selection of movies and TV episodes from Netflix, Prime Video, Hulu, and more, and easily find and control content with the Alexa Voice Remote (1st Gen). Plus, get universal search results across top apps, and enjoy live sports, music, photos, games, and more. Just plug Fire TV Stick into your HDTV and start streaming in minutes. Use the included Alexa Voice Remote (1st Gen) to find the best way to watch across more than 200 channels and apps with universal search. Enjoy access to Netflix, Hulu, HBO NOW, Prime Video, and more. There are over 500,000 TV episodes and movies ready to stream, or watch live TV (including sports and news) as it happens. Directly access millions of websites such as YouTube, Facebook, and Reddit with browsers like Silk and Firefox. Subscription fees may apply. Your Alexa Voice Remote (1st Gen) can easily find, launch, and control content. Simply say, ?Alexa, find suspense thrillers? and Alexa will show you results. Alexa, the brain behind Amazon Echo, doesn't stop there. Just press the microphone button and ask to play music from Pandora, order a pizza from Domino's, shop for popcorn and snacks, and more. Plus, Alexa on Fire TV is always getting smarter. With newly expanded voice control in apps like Netflix, Hulu, SHOWTIME, PlayStation Vue, CBS All Access, NBC, and Bravo, Alexa can help you do even more. Use your voice to search, control playback, and even change the channel within supported apps. You can also pair Fire TV and Echo devices, allowing you to control your Fire TV with Alexa. Just ask Alexa to play and search for movies and TV shows, launch apps, and control playback from over 200 apps and channels on your Fire TV. No cable? No problem. Watch live TV with subscriptions to Hulu, PlayStation Vue, and others, or use an indoor HD antenna connected directly to your TV to get broadcast networks like NBC and PBS for free. Even better with Prime Prime membership unlocks a world of entertainment on Prime Video, with exclusive and award-winning Originals, popular movies and TV, live events, sports, and more?all at no extra cost and available to watch on practically any device. Prime members can also add 100+ channels like STARZ, SHOWTIME, HBO, and Cinemax with Prime Video Channels?no cable required, and no additional apps to download. You only pay for the channels you want, and you can cancel anytime. Each channel starts with a free trial, so it's easy to discover new favorites.Take your TV with you Never miss an episode when you're away from home. Fire TV Stick works with any HDTV so you can take it over to a friend's house or bring it along to hotels and dorm rooms. Just plug and play anywhere - all you need is a Wi-Fi connection. Some content not available in all countries. Entertain your way Set the mood for any party with millions of songs ready to stream through Pandora, Amazon Music, and iHeartRadio. Plus, watch videos from Facebook, Vevo, and Vimeo or play hundreds of games from Mojang, EA, Disney, and more. Just press the microphone button on the Alexa Voice Remote (1st Gen) and say what you?d like to hear, see, or play next. 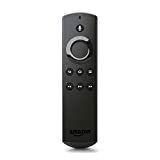 TV Remote Add-on for Fire TV Alexa Voice Remote [NEW VERSION] (Control your TV directly from your Fire TV remote) ? 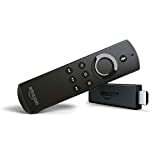 Avoid the hassle of using two different remotes This tiny universal TV remote add-on for Fire TV Stick Voice Remote will allow you to control your TV directly from your Fire TV remote. Never scramble to find your TV remote again to power on your TV or change inputs or volume. Made for Fire TV Alexa Voice Remote This add-on accessory snaps in place of the battery lid on the Fire TV Voice Remote for a secure attachment. Patent Pending Our innovative system is protected. SquareTrade covers your device from all electrical and mechanical failures, including certain out of warranty failures that are not typically covered by the manufacturer's warranty. What's covered? Out Of Warranty Failures (Non-accident)You're covered for device failures that are not typically covered by the manufacturer's warranty: dust, overheating, humidity, and power surges (if your device is connected to a surge protector).Mechanical/Electrical Failures from Normal UseRepairing your average mechanical or electrical failure can cost as much as buying a new device. We cover you beyond the manufacturer's warranty. How long is it covered? Coverage Type First 90 Days Year 1 (91st to 365th Day) Additional Years (if purchased a 2 or 3 year plan) Out Of Warranty Failures (Dust, Heat, Humidity, Power Surge*) Device Protection Plan by SquareTrade Device Protection Plan by SquareTradeDevice Protection Plan by SquareTrade Normal-use Failure Manufacturer's Warranty Device Protection Plan by SquareTrade Device Protection Plan by SquareTrade * Power surge is covered only if your device is connected to a surge protector. What else does a plan include? 2-day Replacements If your device breaks, file a claim and get it replaced in 2 days. Free Shipping We'll ship you a replacement device and provide a prepaid shipping label for you to send us your broken device. Cancel or Transfer Anytime Customers receive a full refund if they cancel in the first 90 days. Refunds are pro-rated after that. Transferring your protection plan is free and can be done online or over the phone. Electronic Delivery We'll email your protection plan to you within two hours of purchase. (Remember to check your spam folder if you don't see it.) How does it work? Call 1-866-374-9939 from 6am to 10pm PST, 365 days a year. We'll ship you a replacement device (same or newer model depending on availability). You'll also receive a pre-paid shipping label to send your damaged device back to us (must have a valid credit card on file in order to receive a replacement). Return your damaged device within 30 days from reception (otherwise you will be charged the price of the replacement). Things to know: Upon purchase, you'll receive an email. This will be your official purchase confirmation. To give you the best customer experience possible, SquareTrade may also contact you about your purchase by telephone. Please read the terms and conditions (see the link at the bottom of the page). Start Date: Plan begins on the date your device is delivered, or on the plan purchase date if you already have your device and are purchasing a plan within 30 days of device purchase, and is inclusive of the manufacturer's warranty period. If you have an issue and are covered by the manufacturer at that time, you'll be directed to the manufacturer first. For assistance, call 1-866-374-9939, 6am to 10pm PST, 365 days a year. An agent is always happy to assist you. 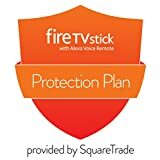 Legal Disclaimer The Protection Plan for Fire TV devices is only available on a Fire TV device that has been shipped within the last 30 days and is only available for customers who are residents of the United States. Terms and Conditions (Full Service Agreement) Still have questions? Give us a call at 1-866-374-9939.